1. When you were a child, did you use your mother's lipsticks? Of course! :) And my aunts' too. I would sit in front of the mirror and do Annie Lennox's 'Why'. My unforgettable lipstick experience: In the 6th grade my blue (but colorless) lip balm stick was "confiscated" by the seniors. They always do these weekly checks to feel superior or something. You know, all girls school- 'no cute boys to look at during lunch time, so let's snoop around instead.' My mother had bought it for me and it was beautiful- light blue glossy tube & the stick was also light blue, it looked like a lipstick. It was practically brand new when they found it in my school bag and made a big deal about it. It's COLORLESS!!! We had a temporary class teacher (whom most people think is the most arrogant person ever, btw) and boy did she gave me a damn hard time about it! I didn't get it back. I think she kept it & used it herself! I didn't tell my mother about it. Funny thing is, the teacher is a colleague of my mother's now. They are good friends. I haven't met her again yet, but I know exactly how to deal with her when I do. I will make sure that it's one hell of a full circle. 2. How old were you when you bought your first lipstick? 19, I think. It was a matte lipstick in a dusty rose shade. Forgot the brand, but it looked like the L'Oreal lipstick packaging- dull gold, square tube. 3. Pink or red lipstick? Pink is for femininity, and red is for passion. Gotta have both. 4. The most expensive lipstick you have ever bought? A tiny lipstick I bought for my mother was Rs.5, that's the first time. For myself, it would have to be Lakme Enrich Satin- Rs.225. 6. 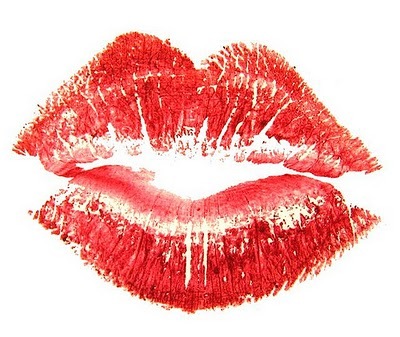 What's the most bizarre thing you have ever done with a lipstick? 7. If you had to recommend a lipstick, which brand would you recommend and why? I think most brands hardly go wrong with lipsticks and I love too many so I can't be biased here. Bourjois, Lakme, Colorbar, MAC, ZA, IN2IT, Maybelline, Make Up For Ever, Revlon, Etude House, Lancome, Anna Sui, Shu Uemura, etc. I like collecting lipsticks, so I want at least one lipstick from every brand. I tag everyone in my bloglist on the right there and also the top commenters ;). Hope you're all having a relaxing Sunday. I have always wanted to apply it on the bf but he won't let me! :( There's this urge to apply make-up on men us girls have isn't it? lol. Love this post! this was fun! i'm also getting tempted to do this tag..ur price range pretty big :) Rs 5 to Rs 2200..
hof- oh..will check it out. I guess lipsticks are always the first piece of cosmetic that every girl begins her make-up journey with.. I remember saving all the discarded lipsticks & using them on my dolls! You applied lipstick on your bf?? haha..that must have been a precious moment!! !